Maybe you’ve been named guardian (of the person) for a family member, colleague, or friend. Maybe you’ve been listed as an agent in a health proxy. Maybe you’re a family member with authority to make health care decisions (New York, like a number of other states, permits family members or others to make most health care decisions in at least some cases). How you got there is not the point, at least not for today. Today’s question: how do you go about making decisions for someone else when you have been given the power — and responsibility — to do so? For centuries the American common law (and its English predecessor) focused on the “best interest” of someone who was no longer able to make their own decisions. It was not until relatively recently that the concept of “substituted judgment” began to seep into legal discussions. Today the latter notion drives health care decision-making in most cases. Let’s simplify some of the language, just to keep things from bogging down in legalisms. Let’s use “principal” for the person signing a health care proxy, or subject to a guardianship, or (however they got there) presently incapable of making decisions. The person making the decision, signing the hospital’s forms, choosing a facility, or whatever — we’ll call him or her the “surrogate”. If you can’t figure out what your principal would want, then you move from applying “substituted judgment” principles to determining the “best interests” of your principal. But that doesn’t necessarily mean that you have to approve treatment. Caring for an elderly parent in declining health is a big responsibility, and one that can have a significant effect on the caregiver’s financial and emotional well-being. Having a sibling to share in that responsibility can make things easier, but it can also lead to conflict and resentment. It is important to understand the issues that may arise when two or more adult siblings are caring for an elderly parent, and the best ways to resolve problems. One question that usually comes up at the outset is who will be the primary caregiver. If only one sibling lives close to the parent who needs care, that is often the deciding factor. When two or more siblings live close by, then the decision often depends on work schedules. If none of the siblings live close to the parent or have time available, then the question becomes how to divide the expense of hiring an in-home health aide or perhaps an assisted living facility, depending on the circumstances. Good communication is probably the most important factor in making these decisions. Ideally, responsibilities will be divided in whatever way feels fair to everyone involved, and arriving at the best outcome depends on communication. Siblings should be encouraged to share exactly what they feel they should contribute and why. Factors such as an individual’s family income or work schedule are legitimate concerns that may play into decision-making. Feelings about this should be stated plainly so that later resentments can be avoided. Siblings should try their best not to let old sibling rivalries get in the way. Adult siblings caring for an elderly parent are taking on new roles, and they are best served by not replaying old ones. In addition to family income and work schedules, siblings should consider each other’s particular skills. If one sibling is a more frugal money manager, it may make sense for him or her to hold the power of attorney for the parent. Someone with experience as a caregiver may do the best job handling day-to-day care. One fact that should not be forgotten is that caregiving is valuable and important work. Siblings who are not involved with day-to-day care may not be aware of just how much work is involved. The caregiving sibling should not be afraid to speak up and share with the others how much time goes into giving care for their parent. It can be easy for a sibling that is contributing more time or contributing more money to feel that his or her contribution is unfair or is going unrecognized. Full and frank discussion is the best solution. Finally, as with most things, careful planning will save a lot of headaches. Just as mom or dad’s schedule of doctor’s appointments and daily medications needs to be kept track of, so should the finances be kept in careful order. An estate planning attorney or financial adviser can be invaluable in preparing a budget that accounts for the cost of different types of care that may be needed. Many New Yorkers retire in Florida, and many others choose to spend the winter months there while maintaining a residence in New York. As part-time New Yorkers and part-time Floridians, retirees have the best of both worlds. But living in two different states can present certain complications when it comes to estate planning and elder law. One important consideration is where your legal residence will be, which can be important for purposes of estate taxes. Where you spend the most time may not be as important as where you are registered to vote, what state issued your driver’s license, and what address you list on tax documents. Your will and any trusts should be tied to the state where you are a legal resident. However, if you own real estate in another state, you should have your estate planning attorney make sure that you do not need additional documents to transfer the property when you die or to manage it if you become incapacitated. It is also important to make sure that documents such as a living will and health care power of attorney are valid in both states. If you happen to be traveling through another state and are hospitalized, out-of-state documents will probably not cause a problem. But if you spend a significant amount of time in another state, it is advisable to be sure that such documents comply with the laws of both states. If you spend a good deal of time in a state far away from close family members, then you may also want to consider naming a local family member or trusted friend in health documents, so that someone can get to a hospital quickly in the event of an emergency. Littman Krooks is well-positioned to help you with these matters. Because so many of our clients live both in New York and Florida, we have partnered with Solkoff Legal, P.A. a leading Florida elder law firm, to offer superior estate planning and elder law services to residents of both states. Contact us for more information. Click here to read more about our alliance with Solkoff Legal. 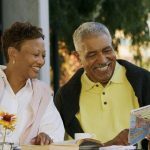 For more information about our legal services, visit www.elderlawnewyork.com.